196 pages | 30 Color Illus. These dance masters offer rare insights into the internal world of the artist as they reveal their philosophies on dance training, discuss their mentors, and speak candidly about the artistic process of dance-making and how it actually feels to dance. 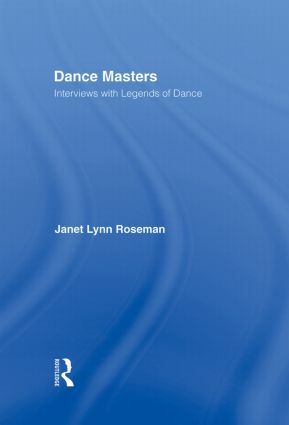 Janet Lynn Roseman (San Francisco, CA) is a dance critic and the author of three books. Her Beach Blanket Babylon (Chronicle) was nominated by Amazon.com as best theatrical book of 1997.